Blanket insulation is among the top and affordable forms of insulation. These insulation blankets are produced from fiberglass – the most frequent insulation material today – and are unrolled between attic and wall beams to make a tight barrier despite the transfer of heat into and from the home. When your attic and walls are insulated, your ac system doesn’t have to operate normally to keep up the temperature you’d like within your home. AMI Builders believes in providing top blanket insulation installation services to greatly help lower your energy consumption of your North Carolina home, which also leads to smaller monthly power bills. We provide an extensive assortment of insulation materials to meet up up your home remodeling needs and budget. We’re dedicated to providing the greenest choices for homeowners seeking to undertake environmentally conscious renovations, which are why we offer 100% recycled fiberglass blanket insulation. We has far more than 25 years of national experience in green home improvements. So, once you choose us for your blanket insulation installation services, you will be rest assured that our services are second to none – and you will get the maximum saving for your energy costs. Call or email AMI Builders today to learn more about our blanket insulation for your North Carolina home. 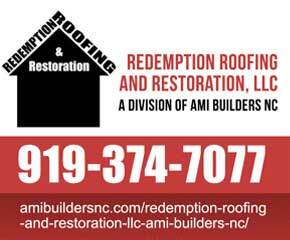 Contact us now don’t delay to begin savings and additional info on how AMI Builders NC home insulation will give you quick and effective returns, whether or not you’re in Raleigh, Durham, Cary, town, Garner, Holly Springs, Knightdale, Apex or nearby areas. Make certain to inquire about our 100 percent recycled covering material insulation.